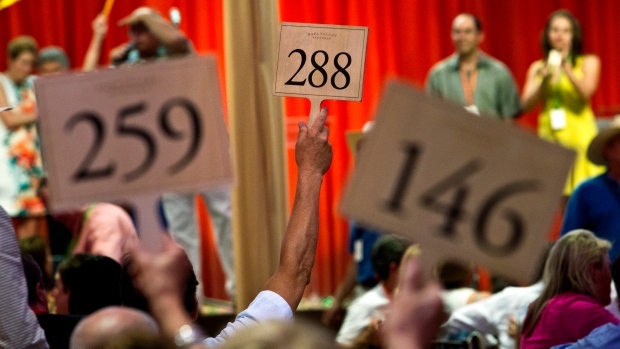 A hair-raising ride with race car driver Danica Patrick, a masked ball at Versailles, a visit to a camel racetrack in Abu Dhabi, and, of course, rare Napa wines: That’s a tiny taste of what’s on offer at the 38th extravagant Auction Napa Valley. The purpose of the lavish, four-day, annual event is to raise as much money as possible for two dozen local charities, such as Boys & Girls Clubs of Napa Valley, St. Helena Hospital, and Ole Health. 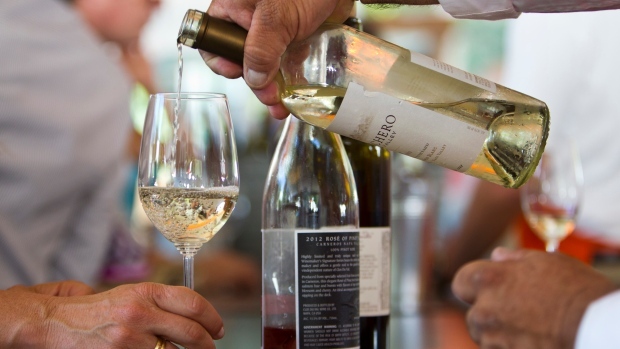 It kicks off on Thursday night, May 31, with such spectacular vintner-hosted welcome dinners as the one at Barnett Vineyards, on top of Spring Mountain. But you can start bidding remotely in the e-auction on Memorial Day weekend. Nearly 300 lots in the weeklong e-auction, Friday barrel auction, and Saturday live auction will provide plenty of ways to spend, spend, and spend more. The live event is sold out, but you can still bid from home. (See below for my picks.) The big question is whether 2018’s take will break the 2014 record of US$18.4 million. That will depend on who’s bidding, but given the state of the stock market, the odds are that many of the 2,000 attendees will feel flush. This year’s theme could be called “the year of the woman.” The co-chairs are four sisters, Angelina, Alycia, Riana, and Giovanna Mondavi, whose family owns Charles Krug, the oldest winery in Napa. Their grandfather Peter was the brother of Robert Mondavi, who founded his eponymous winery after the two split in a bitter fight. (They reconciled in 2005.) They’re the first all-female team to chair the event and—with ages that range from 25 to 35—also the youngest. Introduced to the wine industry at birth, they’re fourth-generation wine insiders with their own tiny collective project, Dark Matter Wines, which makes small quantities of a powerful, aromatic zinfandel and a spicy, smoky cabernet. They are also involved with other family brands, such as high-end cabernet winery Aloft. One of their more down-to-Earth ideas is the rosé popsicle cart that will circulate before the Live Auction. Another is the picnic path on the spacious lawns of Charles Krug during Friday’s Barrel Auction; it will wind among food and wine pavilions representing six Napa “villages.” The tents will showcase top vintners and restaurant dishes, from Calistoga to Carneros. “St. Helena” features Tomato Beef Gazpacho from Michelin-starred Terra restaurant, as well as Stony Hill Vineyards’ iconic chardonnay. The Live Auction lots always contain multiple elements: rare wines, exotic trips, lavish dinners, and one-of-a-kind experiences. Serendipity and networking with their friends helped the Mondavis round up their ultimate Arabian dream lot. “It started with the idea of the Beach Polo Cup Dubai,” says Alycia Mondavi, “and one thing led to another.” Now the five-day trip includes private tours of the Louvre Abu Dhabi, the royal stables (home to 30 priceless thoroughbreds), and that camel racetrack visit. The Mondavis have also put the family mark on the soulful, family-style dinner the follows the Live Auction. San Francisco chef Nancy Oakes will cook up their grandmother’s Italian recipes. Then everyone will head—or waddle—to a “caravan” of pastel-colored dessert trucks. All this is a far cry from the first auction in 1981, when the final take of US$324,142 was considered a stunning success. Back then, the highest bid, US$24,000, was for a case of then unnamed Robert Mondavi/Baron Philippe de Rothschild cabernet that became the first vintage of Opus One. The audience mostly drank water, because the temperature was 105 degrees and the tent wasn’t air-conditioned. In the e-auction: The weeklong e-auction (152 lots; US$250 minimum bid) kicks off at noon on Sunday, May 27, and closes on June 3. Think of this as live-auction lite. The smaller-scale lots include dinners at the vineyards, private tastings with winemakers, and overnight stays in winery guesthouses. Top picks include a chance to help harvest grapes at Cain Vineyard and Winery, high on Spring Mountain, enough wine to instantly populate a cellar with Napa classics, and a sleepover at a vintner’s home in buzzed-about sub-region Coombsville. The ultimate wine lot is a Salmanazar (9-liter bottle) of killer cab 1995 Shafer Hillside Select. In the Friday barrel auction: 110 lots (minimum bid, US$200) go on sale at Charles Krug winery. Each is a barrel of wine from a different estate; when the auction closes, the top 10 bidders for any barrel will each get one case of the wine. A new mobile app will track your position in the top 10 and send alerts when you’ve been outbid. I’d single out the one-of-a-kind special Insignia cuvée from Joseph Phelps, Larkmead Vineyards’ the Lark Ascending cabernet from a two-acre vineyard plot, and the inaugural release of the Prisoner’s new, plush Dérangé red. Additional fascinating lots include 100 miles-per-hour-plus laps around a track with Danica Patrick (Lot 28), a tour of Portugal’s Douro Valley (Lot 14), and a stay at a lavish villa on Saint Barth’s (Lot 21). The wine highlights are two 1992 vintage double magnums of Screaming Eagle and Paradigm (Lot 27) and five six-liter bottles from Bond (Lot 19). Don’t fret if your bids don’t make it. Just start thinking of 2019. That will be the 75th anniversary of the founding of Napa Valley Vintners trade association, which promises that next year’s auction “will change everything”—meaning it will be really, really over-the-top. FYI alert: On Monday, June 4, 75 special packages at US$7,500 apiece will go on sale.